Dating has truly become a science over the last decade or so, with all the movies, TV shows, magazines and unlimited online content which, despite their supposed role of helping you with dating, actually put a ton of stress on a person who wishes to date. Every single decision that you can make is dissected, analyzed and, sooner or later, discarded as something you should probably avoid if you wish to have success dating. It is probably safe to say that dating has become more complicated and unnatural than ever before, which is probably not something that the “content makers” wanted to achieve, but they did anyway. Things get even more complicated and difficult if you are interested in dating a particular type of people in a place where such people are not easy to meet. For instance, if you are a person with a certain country upbringing who wishes to date people who share the same heritage and culture. This is an especially difficult task if you live in a larger city like New York or Los Angeles or Chicago where country culture is not that prevalent and where it might even be scoffed at. Let’s for instance, imagine that you are a 28-year-old woman from a small town in Montana who moved to Chicago when she was 25 for a job. Before coming to the Windy City, you lived in a small town with no more than 8,000 people; the same town you were born in where country culture is still highly valued and simply a way of life. You were raised with certain values and you cherish those values and you honestly believe that this is the way to lead your life. All of a sudden, you find yourself in a large city like Chicago which could not be any more different from the place you hail from, for better or for worse. Sure, there may be a bar or two where you can find that same atmosphere that you are used to and there may be a small community that shares your values and your culture. Still, you find that your choices and options are very, very limited. And it has nothing to do with you or the fact that your core values and upbringing are wrong. It is just the way it is. You soon get very tired of it, being successful at your new job, finding great friends but still lacking the opportunity to date people with whom you will be really compatible. At times, you may even feel like your lifestyle and your values are less worthy. This is definitely not something that is easy to handle. It starts to grate on you. Luckily, there is now a very elegant and exciting way to find country singles in your area, no matter what city that might be, who will have the same or at least similar upbringing that you have and who will be a much better fit for you and your lifestyle. This is something that only a few years ago was not the case. These “niche” dating websites were not a thing but today, they are. Today, you can find hundreds of cowboys and cowgirls in any city in America, all looking for the same thing you are – someone who shares their lifestyle and someone who will understand them. In today’s world where no one has the time needed to go out with a candle looking for that one compatible person in the same area, this is a huge boon. 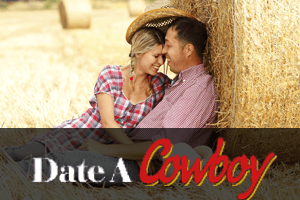 If you feel that we have described you or your experience, make sure that you give these cowboy/cowgirl dating websites a chance. You will be amazed.